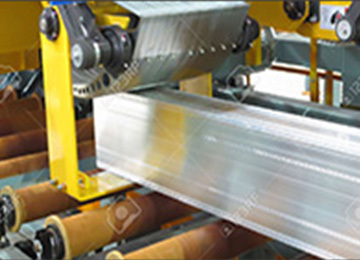 ORTADOĞU ALUMİNYUM took its place among leading organizations in aluminum industry in a short period of time, established anodized coating, wood pattern, electrostatic powder coating plants, in order to meet instantly the customer needs in industrial profiles, joinery profiles, facade profiles, thermal insulation profiles, railing profiles, glazed balcony profiles. ORTADOĞU ALUMİNYUM is not satisfied with this high quality and aims even higher, endeavors to offer the best service to its customers by using its years of knowledge, experience, experienced staff and the highest level of technology. Our company meets the needs of mold which is vital for the aluminum profile, in its own facility, and manufactures the molds using the latest systems.